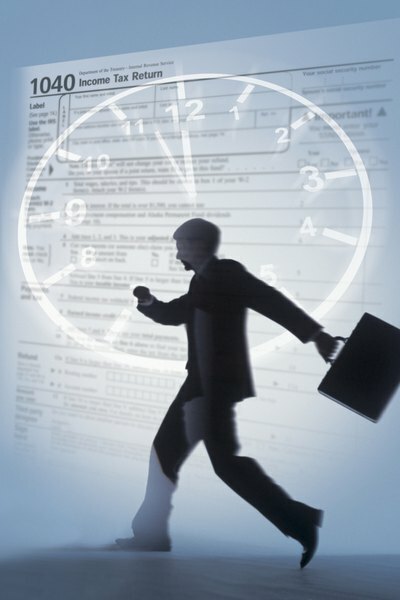 Knowing the information used for your tax return can save you time when filing. 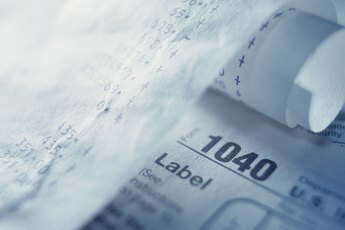 Though you'll likely still dread April 15 each year, your fear may subside a bit if you understand how your federal income taxes are calculated when you file your tax return. In addition, you can budget ahead of time for your tax bill (or refund check) if you can estimate how much you'll owe. To figure your federal taxes, you'll need to know how much money you made, the deductions and credits you're eligible for, how many dependents you'll claim and whether you owe any additional taxes. Credits differ from deductions because they reduce your tax liability directly, rather than just decreasing your taxable income. Calculate your total income for the year by adding up all of your sources of taxable income. Say you work two jobs, one paying $40,000 and one paying $10,000, and you earn $500 in interest. Your total taxable income is $50,500. Subtract your adjustments to income, sometimes referred to as above-the-line deductions, from your total income, to find your adjusted gross income for the year. 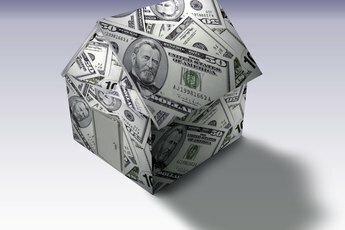 You can take these deductions without having to itemize. Examples include traditional IRA contributions, moving expenses and student loan interest. Your adjusted gross income is significant because it affects other deductions, like medical expenses and miscellaneous expenses. Continuing the example, if you paid $2,000 in student loan interest, you'd subtract $2,000 from $50,500 to find your AGI is $48,500. Subtract your personal exemptions from your adjusted gross income. You get a personal exemption for each person, including yourself, that you claim as a dependent. In this example, in 2012, each personal exemption is worth $3,800, so if you claim only yourself, subtract $3,800 from $48,500 to get $44,700. Subtract the larger of your standard deduction or your itemized deductions from the result to figure your taxable income. You should compare the two and choose the one that gives you the bigger deduction. The standard deduction is a preset deduction based your filing status that replaces itemized deductions. The Internal Revenue Service adjusts it annually for inflation. Examples of itemized deductions include medical expenses, mortgage interest and charitable donations. For this example, if you have $8,000 in itemized deductions and your standard deduction is only $6,000, subtract $8,000 from $44,700 to get $36,700 as your taxable income. 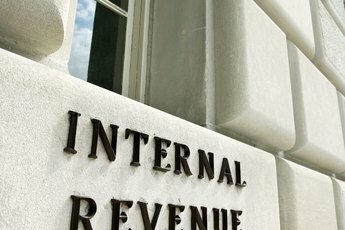 Figure your tax by using either the tax tables, if you make less than $100,000, or the tax computation worksheet, if you make more than $100,000, found in the instructions for IRS Form 1040 (see Resources). Using the 2011 tables because the 2012 tables are not published at the time of writing, if you're single, the income tax on $36,700 equals $5,306. Subtract any tax credits you're eligible to claim. For example, if you have a lifetime learning credit of $2,000, subtract $2,000 from $5,306 to get $3,306. Add any additional taxes you owe, such as self-employment taxes or early withdrawal penalties on premature retirement plan distributions. If you don't owe any, skip this step. Subtract your income tax withholding throughout the year from the result to figure how much you owe or the size of your refund. Finishing the example, if you had $4,306 withheld, subtract $4,306 from $3,306 to get negative $1,000, meaning you'll receive a $1,000 tax refund. 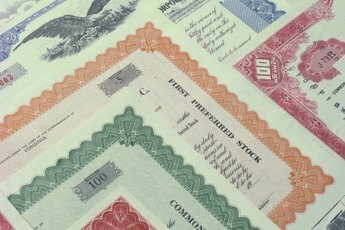 What Can I Do if My 1099 Is Incorrect?